Ukraine's Cabinet of Ministers, under a proposal of the Finance Ministry, has approved the attraction of an external advisor who will advise the ministry in upgrade of the strategy for reforming state-owned banks. The decision was made by the government on Wednesday. "Implementing clause 13 of the memorandum [signed by Ukraine and the International Monetary Fund, IMF] where it is necessary to update the strategy for reforming the banking sector in light of the nationalization of PrivatBank (Dnipro), an external advisor should be attracted. The funds were not foreseen for this in the national budget 2017, as the bank was nationalized after the adoption of the budget. 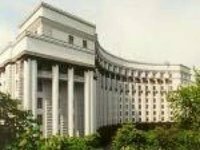 We appeal to approve the proposal of the Finance Ministry," Finance Minister Oleksandr Danyliuk said at the government meeting. As reported, under the memorandum, the Finance Ministry in consultation with IMF staff will prepare amendments to the strategy in light of the nationalization of PrivatBank, which is to be approved by the government by end-April 2017. Under the memorandum, in consultation with IMF staff, in March 2017 we will submit to the Verkhovna Rada the draft law on state-owned banks that facilitates the adoption of the new corporate governance approach and expect this law to be adopted by end-March 2017. By end-June 2017, the Financial Policy Department of the Finance Ministry, in consultation with IMF staff, will establish memoranda of understanding with all state-owned banks in order to inter alia define a relationship framework between the Finance Ministry and each bank, and safeguard each bank's commercial independence in achieving its objectives. The supervisory board of each of the state-owned banks will be selected in line with the Principles of State Banking Sector Strategic Reforms, which inter alia requires the candidates to be proposed by a reputable international recruitment firm. According to the document, the government will refrain from making operational the recently created Export Credit Agency until all related cost and capital needs for the next three years are clearly identified, on the basis of an independent assessment, and included in the national budget.